ConvertYourScore.org: Don’t start taking the ACT or SAT without it! In order to best guide students and parents as they navigate the college admissions process, we’re happy announce updates to ConvertYourScore.org, the Internet’s most valuable ACT-SAT score conversion and information supersite. The updates to ConvertYourScore.org allow students and parents to plan better than ever before when or if to take the ACT, SAT, and SAT Subject Tests. First, a bit of context: ConvertYourScore.org not only gives students the opportunity to compare their SAT and ACT scores just like college admissions officers do when evaluating applications; it also gives students the knowledge they need in order to determine which remaining test(s) may be worth taking in order to meet their college admissions potential. students who have only received SAT scores to convert their SAT scores into comparable ACT scores. students who have only received ACT scores to convert their ACT scores into comparable SAT scores. students who have received scores for both the SAT and ACT to definitively determine which test they did best on – ensuring that students only send to colleges the scores that put them in the best light the eyes of admissions officers. In addition, ConvertYourScore.org has always provided valuable background information about both the SAT and ACT and discusses the key ways in which the SAT and ACT differ. Best of all, ConvertYourScore.org has always been completely FREE and requires no sign in process. The one-page site is the Internet’s best one-stop destination for ACT and SAT information and advice. determine which colleges and universities require or recommend their applicants take the optional SAT Essay section and/or the optional ACT Writing section (only a handful of colleges still do). determine which colleges and universities require, recommend, or favorably consider submission of strong SAT Subject Test scores as a part of their college applications. ConvertYourScore.org is better than ever! No student or parent should start down the path of ACT or SAT planning or testing without first visiting and digesting all the information on ConvertYourScore.org. In 2018, earning admission to America’s top colleges is more competitive than ever; therefore, please share ConvertYourScore.org with students and parents who are embarking on their journey to college. ConvertYourScore.org gives students and parents a leg up in the admissions process and makes the often confusing tasks of taking standardized tests and interpreting their scores easier for all involved. The National Merit® Scholarship Corporation (NMSC) has confirmed that the national cutoff score for the ‘Commended Student’ designation will be 211 for the class of 2018—or 2 points higher than the cutoff for the class of 2017. While the higher cut score isn’t particularly predictive of state-by-state ‘Semifinalist’ cutoffs (except possibly at the lowest levels), it does reinforce speculation that continued upward pressure on PSAT/NMSQT® scores may result in higher score requirements for students hoping to earn National Merit Scholarships in some states. And between changes in test scoring eliminating the guessing penalty and changes in the scale (from 20-80 to 160-760), the use of data from years prior to 2016 make estimates for state-by-state cutoffs a little complicated. In addition, the scoring changes together with a new computation for the PSAT/NMSQT “Selection Index” (math, writing/language and reading on a scale of 8 to 38 multiplied by two) also put into play the possibility that two students from the same state with identical Total PSAT/NMSQT scores from the October test could have very different outcomes—one commended (or semifinalist) and one not. According to the NMSC website, of 1.6 million NMS entrants, roughly 50,000 with the highest Selection Index (SI) scores qualify for recognition in the scholarship program. Note that only students taking the PSAT/NMSQT in the 11th grade qualify. About 34,000 or more than two-thirds of the high scoring juniors receive Letters of Commendation. These students are named on the basis of a “nationally applied” SI score which varies from year-to-year and is typically below the level required for participants to be named semifinalists in most states. For the class of 2017, the cutoff score was 209. In 2016, the last year to use the “old” PSAT, the cutoff score was 202. In 2015, it was 201 and in 2014, it was 203. The increase in this year’s cutoff for commended status is in line with generally inflated PSAT scores, which may have been encouraging to students initially hoping to qualify for a National Merit Scholarship. Unfortunately, life isn’t always so straightforward and the NMS competition is anything but straightforward. State-by-state semifinalist cutoffs are predictable within a range. But only after the NMSC applies a little politics to its formula and the announcement is made in September will there be any certainty as to who qualifies as a semifinalist. To earn the title of “finalist,” these students will have to jump through an additional series of largely bureaucratic administrative hoops. To facilitate the conversation about the class of 2018, however, Compass Education Group has come up with a chart predicting “estimated ranges” (with 1330 comments) for the state-by-state semifinalist cutoff. The ranges “reflect the variability of year-to-year changes within a state” and are based on research conducted by the test wizards at Compass Prep. While interesting, the ranges and “most likely” scores are by no means guaranteed. At this point, it’s not worth spending a whole lot of time worrying about PSAT/NMSQT® results. They are predictive of very little beyond possible achievement on the SAT. Colleges will never see these scores, and how the NMSC determines state-by-state semifinalist cutoffs is entirely out of anyone’s control. Joining a growing number of colleges and universities, James Madison University (JMU) will be rolling out a test-optional admissions policy for 2017-18. Students seeking admission will no longer be required to submit tests results from either the SAT or the ACT as part of the JMU application process. Unlike other Commonwealth universities, which have also decided to downgrade reliance on standardized tests in admissions, JMU will not be adding any “strings” to their new policy. There will be no minimum GPAs, similar to test-optional policies in use by Christopher Newport University, George Mason University or Virginia Commonwealth University. Applicants will be entirely free to decide whether they want to include test scores along with their applications. As the university works to update their website to reflect the change in policy, information on the application process for the coming year has been communicated during on-campus information sessions, including one for counselors last month. In a nutshell, JMU will only require that applicants submit an application for admission (one choice will be the Coalition Application), a high school transcript, and a senior schedule of classes. An applicant can also submit, if they choose, a personal statement, a letter of recommendation and/or standardized test results to be used in the review of their application. Because this is a substantial change from how things were done in the past, JMU is developing a method for applicants to request the university delete test results that may already be on file in the admissions office. The new policy didn’t come as a huge surprise to counselors who have worked with Madison over the years. It’s been evident by their decisions that application readers placed significant importance on information conveyed via the transcript—grades and consistent rigor of coursework throughout high school. Test results, while considered, appeared to be of secondary importance in Madison’s admissions decisions. And JMU is joining an impressive group of colleges and universities that have made the decision to reduce the role of scores in admissions. According to the nonprofit National Center for Fair and Open Testing (FairTest), the list of test-optional schools has grown to more than 950 accredited institutions awarding bachelor’s degrees, with more than 275 highly “ranked” in their “tiers” by U.S. News, including such familiar names as Bowdoin, Mount Holyoke, Pitzer, Smith, Trinity College, Wesleyan, Wake Forest, Providence and College of the Holy Cross. In addition to James Madison, the most recent schools to announce test-optional policies are Emerson College in Boston, University of the Ozarks and Wofford College in South Carolina. In the DC/Maryland/Virginia region, American, Catholic, Christopher Newport, GMU, George Washington, Goucher, Hampton, Hood, Loyola Maryland, Marymount, Old Dominion, Radford, Roanoke, Salisbury, St. John’s College, Trinity Washington University, Mary Washington, VCU and Washington College have either test-flexible or test-optional policies in place. Students submitting ACT scores to Georgetown University this year could have been at an admissions disadvantage relative to those submitting results from the new or “redesigned” SAT, according to a statement made last week by Dean of Undergraduate Admissions Charles Deacon. “A lot of people are advised by their high school counselors maybe to take the ACT, which we don’t think is great advice,” said Deacon in an interview published by The Hoya, Georgetown’s student-run newspaper, in reference to testing strategies used by applicants for fall 2017 admission. Why would that be? Because Dean Deacon believes, based on what he heard from the College Board, that scores from the redesigned SAT appear higher than those from either the old SAT or the ACT. And he’s right—sort of. But there’s a reason. In fact, there are several reasons why the scores are higher, including that it’s an entirely different test. While rumors have circulated for years about Georgetown’s alleged preference for College Board products, this is the first time a statement seeming to confirm the bias has appeared in print. And it comes in the context of transitioning from the “old” SAT, last given in January, 2016, to the redesigned SAT, which debuted in March, 2016. During the transition to the new test, a large number of students planning to apply for fall 2017 opted to take the ACT, to avoid what appeared to be a significant number of unknowns in content and scoring for the new SAT. Still others took the old SAT for some of the same reasons. And many took various permutations and combinations of the three tests. But for Georgetown, it seems that students submitting the new SAT might have had an advantage over those submitting only the old SAT or the ACT. Once initial scores from the new SAT came in and were analyzed by the College Board, a conversion tool was devised and posted online that compared those scores with those from the older test and the ACT. While the ACT initially protested that the concordance was completed without sufficient study, the resulting comparisons made it clear that students taking the new test were coming in with numerically higher scores than in the past. It didn’t mean they necessarily did better and could look forward to applying to more selective schools. 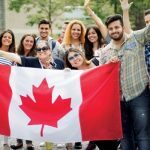 It simply meant the numbers were higher and a translating tool between the old and new tests was necessary to compare applicants. As a result, a number of test prep organizations and individual colleges devised detailed tables designed to facilitate these comparisons. Princeton Review distributed a quick SAT-ACT comparison table as a bookmark for counselors to keep at their desks. Compass Prep compiled and published “estimated” new SAT score ranges for 360 popular colleges and universities, using most-recently reported old SAT scores translated via concordance into new SAT scores. According to this translation, Georgetown went from a published midrange of 1320-1500 for the old SAT to an estimated midrange of 1390-1560 for the new SAT. In other words, students taking the new SAT would have to score higher to stay within Georgetown’s most recent 25th-75th percentile of entering freshmen. But Georgetown evidently didn’t look at it that way. 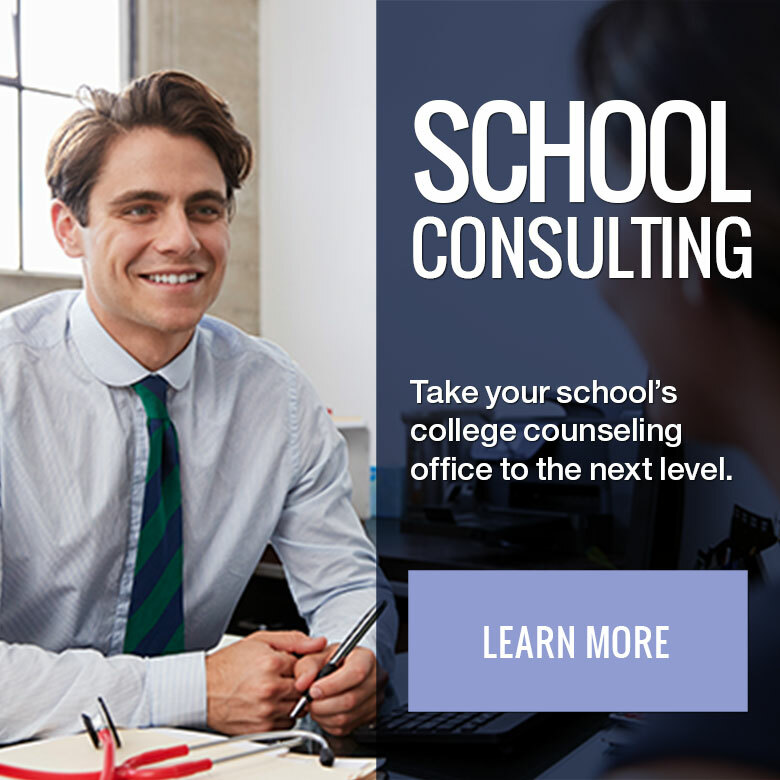 A counselor newsletter circulated last fall said, “We do not plan to use the College Board’s concordance tables to adjust SAT I scores in either direction.” This policy was recently confirmed by a representative from the Georgetown admissions office. Instead, admissions readers were asked to look at scores “contextually” and without a tool to facilitate comparisons among applicants submitting different tests. Reacting to concerns about any disadvantage suffered by students submitting the ACT only, Dean Deacon, speaking through a representative, said he was concerned that students “traditionally preparing” for the SAT were interrupted in their preparations by counselors who encouraged them to switch to the ACT, and this may have produced lower scores. In other words, he felt that any harm done was a result of switching tests and not a result of any Georgetown bias produced by failing to recognize the new scale and use concordance tables to translate scores from one test to the other. Georgetown is still working on compiling numbers for the Class of 2021, and admissions results will be mailed by the end of this week.